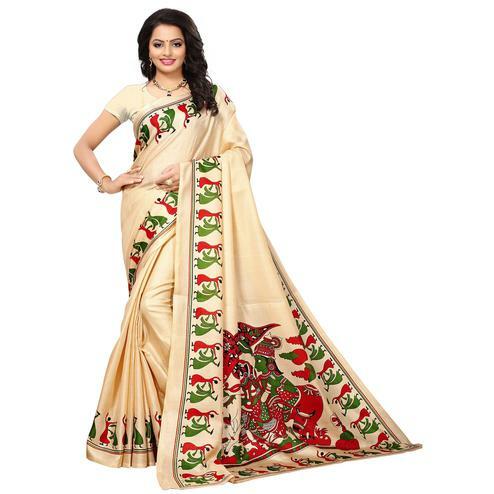 Make your casual look more impressive with this beige georgette saree which is sure to add grace to your personality. 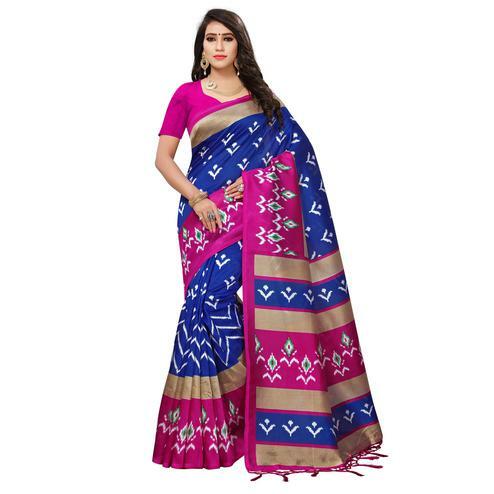 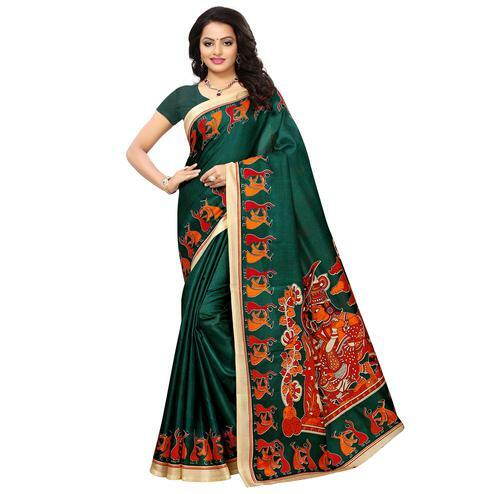 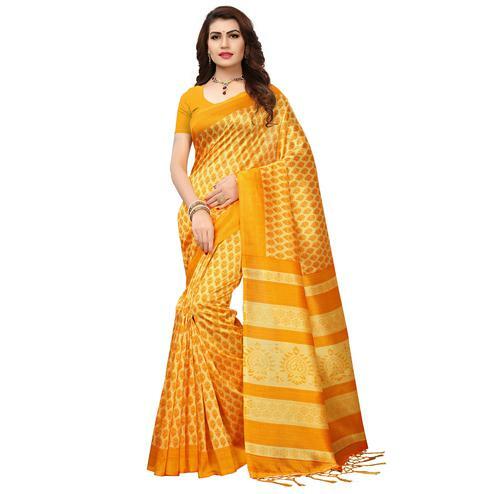 This saree is highlighted with its floral print & contrast color border as shown. 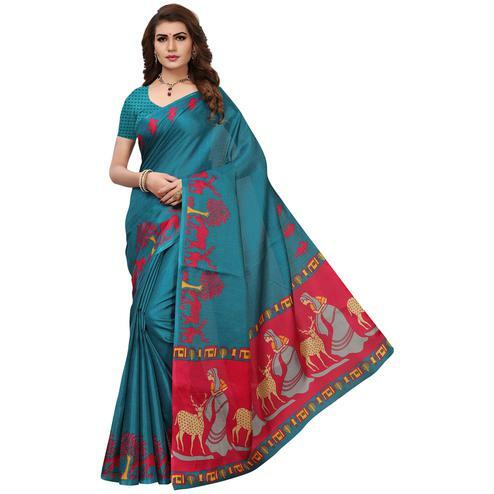 You can wear this saree for casual purpose. 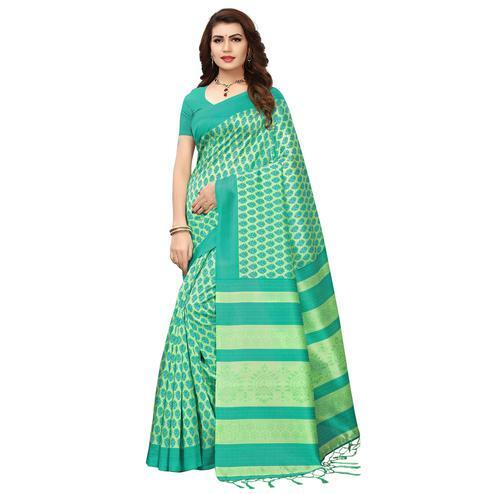 Paired with green georgette blouse piece.